Where do you go at night, once you have turned out the light and snuggled down under the blankets? Abigail Crabtree’s imaginary world is precious to her; an escape from the waking world. That is until one wintry night, when a sinister horseman appears and threatens to wrest it from her in the name of the King of Traumund. Desperate to save her realm from invasion, she turns to her godfather—the enchanting Mr. Montefiore—for help. She takes refuge in his desolate country house, where rumours of cruelty and murder abound. Encouraged by his apparent sympathy, Abigail and her giant owl soar beyond the borders of her own imaginary world and into the vast universe of collective dreams. But even as she delights in Traumund’s bewildering beauty, she finds herself ever more seduced by the very evil which threatens to destroy it. How can Abigail remember what she is fighting for? How can she even be sure where her loyalties lie? 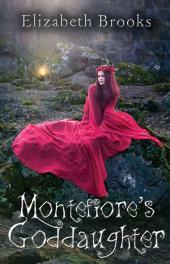 And—the most formidable question of all - will she ever be free of the intensely beguiling Mr. Montefiore?